SHUTON, S.A., a company from Alava that is celebrating its 40 anniversary this year, will show its latest developments at the EMO fair in Milan. 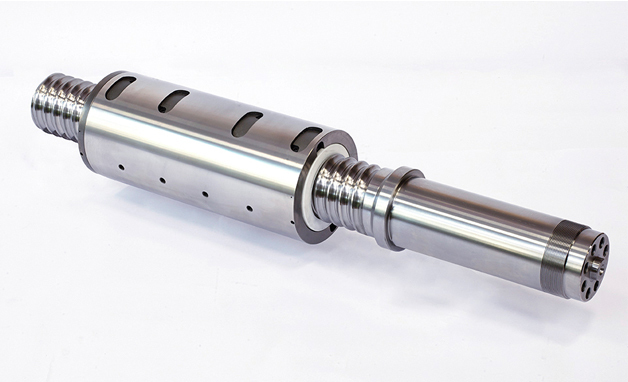 Shuton’s track record over the last few years has converted it into one of the leaders in the development of high performance ball spindles and into one of the members of the select group of ball spindle manufacturers that offer the highest standards. Shuton currently maintains collaboration lines with several of the most important manufacturers of machine-tools in the world for the development of its prototypes, which require high standards for ball spindles. This year, too, SHUTON is celebrating a double anniversary given that 10 years have gone by since it launched its SHUTON COMPLEX cutting-edge technology spindles. Over this period of time, it has optimised the improvements in load capacity and rigidity, achieving smooth movement and thus avoiding the normal spring effect of ball spindled. At the same time, it has achieved a considerable reduction of noise and temperature. This important advantage, groundbreaking and therefore unique on the market, has opened the door for Shuton to supply the most demanding manufacturers, even within the competitive world of the automobile industry, where high speeds of 100 m/min and high accelerations of up to 15m/s2 are normal. On the other hand, the development of new spindle technologies such as SHUTON HDL and SHUTON i+ has allowed SHUTON to consolidate itself in new market niches such as presses, plastic injection and other high-load applications.